What a day for EVO 4G ROMs! Hot on the heels of the release of Fresh ROM for EVO, another former HTC Hero ROM developer damageless, notorious for his DamageControl Hero ROM, announced his version for the EVO. 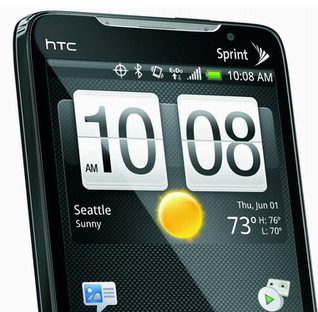 I am proud to present the first DamageControl ROM for the HTC Evo! The ROMs I release are always focused on stability, speed, and ease of use. My partner, TrevE and I, continue to present ROMs that are easy to update through an application that is bundled with the ROM, DCUpdater (based upon cm-updater). We also have bundled applications that let you modify advanced Android settings - unfortunately, the application is being given a make-over and we haven't bundled it in this first release. We expect an update within a week or so that will clean everything up even more. You will be notified of an update by DCupdater when it comes out - so feel free to update! Another application that we bundle is an application that lets you submit bugs. This way, you can get personal help in problems you have with the ROM! Again, this is also receiving a facelift, so it's not bundled in this preliminary release either. We usually release new ROMs every two-to-three weeks. We hope you enjoy our first ROM release. We have found that with our tweaks, that battery life has greatly improved. From our results, we have had much more than sufficient battery life. We have also sped some things up a bit, and made other small tweaks. We hope you enjoy this as a preview of what is to come! Like the Fresh ROM, DamageControl is based on Android 2.1 Eclair. However, after Froyo source is released, you can expect DC to update to the new version. Of course, installing a custom ROM requires root (unrevoked won't work, as it's not true root, at least right now) - this method, courtesy of toastcfh should work. Be sure you wipe when you install the first time to avoid problems like boot loops!! Normally, once you install a custom ROM, you can upgrade to the next version without wiping - you just have to bite the bullet the very first time. My main hope with these ROMs is that they will fix the battery issues that earned the EVO a bad reputation and prompted posts like these: Don’t Buy The HTC EVO, It Is A Seriously Flawed Device and An iPhone Lover’s Take On The HTC EVO 4G. As always, if you install this ROM, report back with your experience.